The intersection at Pioneer Parkway and Old Hwy 91 will be closed from Monday, June 6th until Friday, June 10th while the concrete waterway across the intersection is formed and poured. 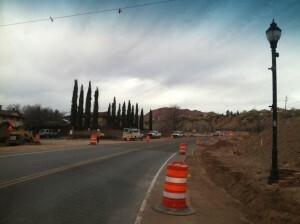 The new concrete needs time to cure to ensure stability when traffic resumes use of the intersection. 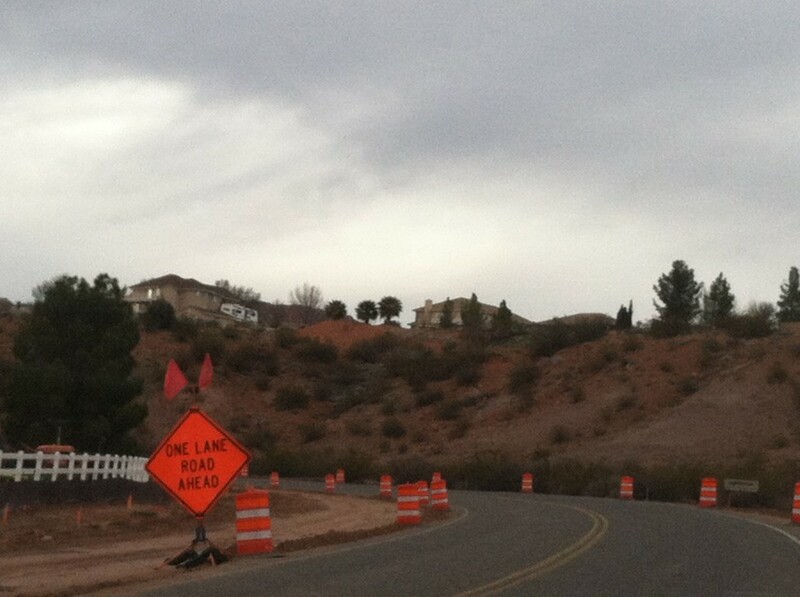 There will be a detour to the Rachel Drive intersection providing access to Old Highway 91. The intersection at Rachel Drive and Old Highway 91 will be closed to allow crews to form and pour the waterway across this intersection. During this time, Pioneer Parkway will be used as the alternate route. This intersection will be closed until Friday, June 17th. Bike lanes on both sides of the road. A paved trail on the north side of the road, but off the road for pedestrians. Check back often for photos and updates to this project! 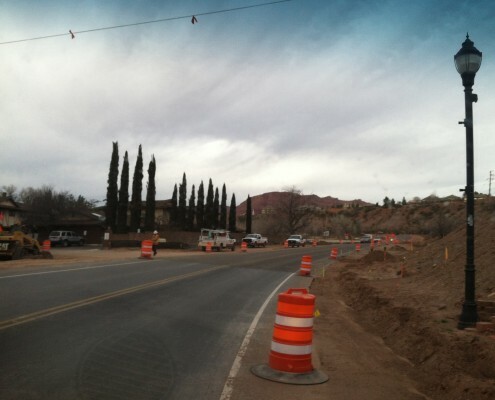 Santa Clara, Utah (May 19, 2016) – Starting as early as Wednesday, May 25, work on rebuilding the Northbound lane of Old Hwy 91 will make it necessary to intermittently close the intersections of 200 East in Ivins and Rachel Drive in Santa Clara. 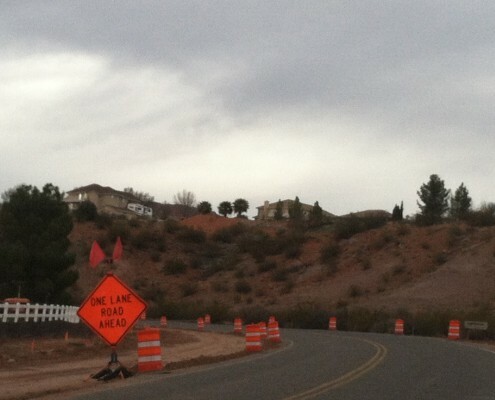 Traffic will be detoured around these areas with signage, barrels and cones. 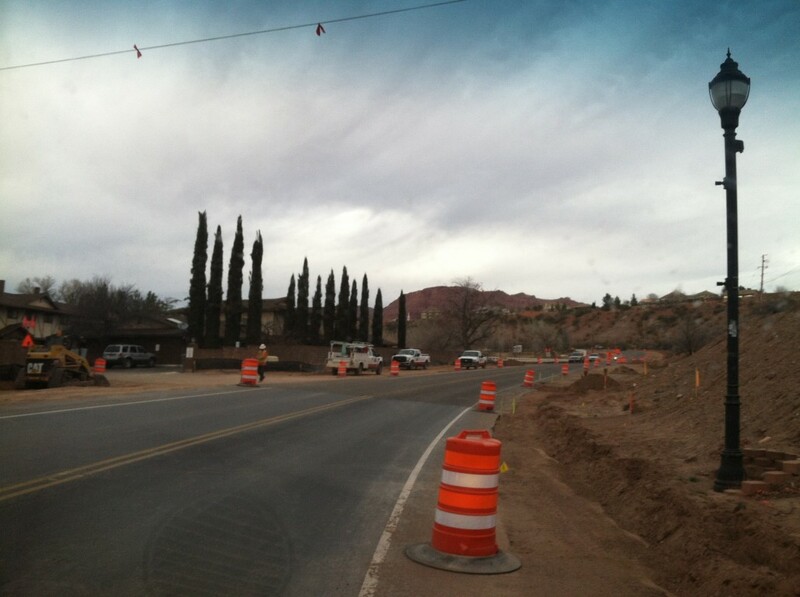 These closures are necessary to connect the two roads to the reconstructed lane on Old Hwy 91. Crews will continue to form and pour concrete sidewalk and curb and gutter, install conduit for new lights, place asphalt paving on the adjacent trail to the roadway, and improve the area with new landscaping. The project may be expanded from its original scope and could include additional lighting and landscaping and would be scheduled for completion this fall. To accommodate this work, traffic will be in a one-way configuration controlled by traffic lights Monday through Friday from approximately 7 a.m. to 5 p.m. Motorists should prepare for delays of up to 15 minutes depending on construction activity. 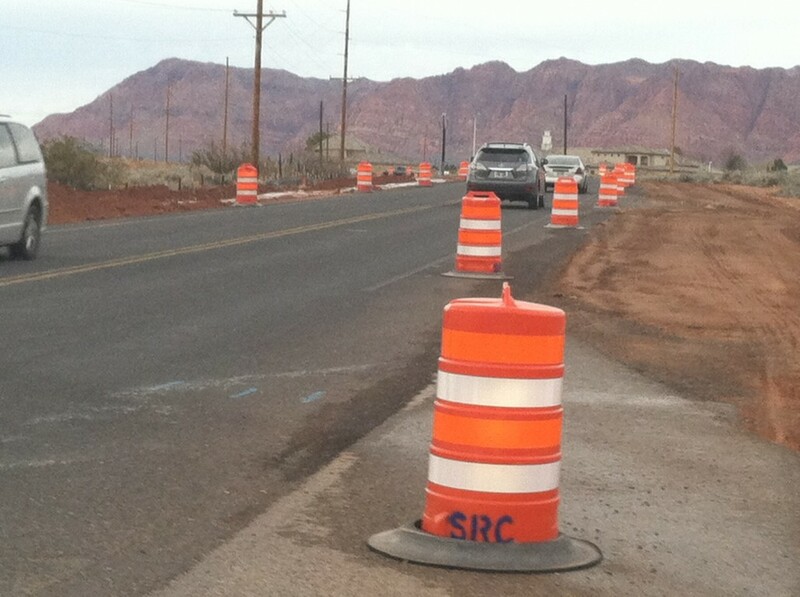 Traffic control will change as construction dictates. Travel through the area will be on asphalt and gravel surfaces. We encourage the public to obey all traffic warnings, stay within their designated area of travel, and be aware of crews working adjacent to the roadway. 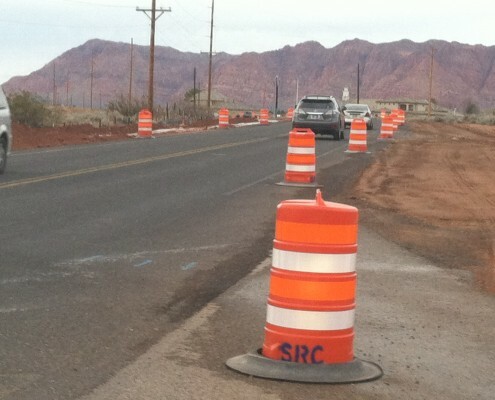 Fines are doubled for speeding in the construction zone. Citizens can get additional information by visiting the project webpage at udot.utah.gov/go/old91, calling the project hotline at (844-446-3691), or emailing info@frontlinepi.com. This is a local government project.